It’s only been 11 years, but somehow it feels like an eternity since a Hellboy movie has graced the silver screen. Released in that unfortunate time between when “X-Men” and “Spider-Man” ushered in the modern comic book movie and “Iron Man” and “The Dark Knight” made them a juggernaut, Guillermo del Toro’s adaptations of the comic book series managed to fly under the radar. The first film came two years before del Toro became a big name with “Pan’s Labyrinth” and the same year as “Spider-Man 2” and “The Incredibles.” The second was released just a week before “The Dark Knight.” It’s easy to see why those films have faded into obscurity, but they did offer something different – a more fantasy-based look at superheroes with the crazy character designs so often seen in his films. Despite intermittent interest from both del Toro and star Ron Perlman for a third film in the franchise, it never materialized. But now, after more than a decade of dormancy, the Right Hand of Doom is reborn anew under the eye of director Neil Marshall. As any readers of the Dark Horse comic series or devotees to the del Toro films would know, Hellboy (David Harbour) is the eponymous character, a devil child adopted by Professor Broom (Ian McShane) and raised to become a paranormal investigator for the BPRD (Bureau for Paranormal Research and Defense). He’s tasked with tracking down a giant anthropomorphic pig man named Gruagach (voiced by Stephen Graham), who is attempting to find the severed body parts of the undying Blood Queen Nimue (Milla Jovovich). 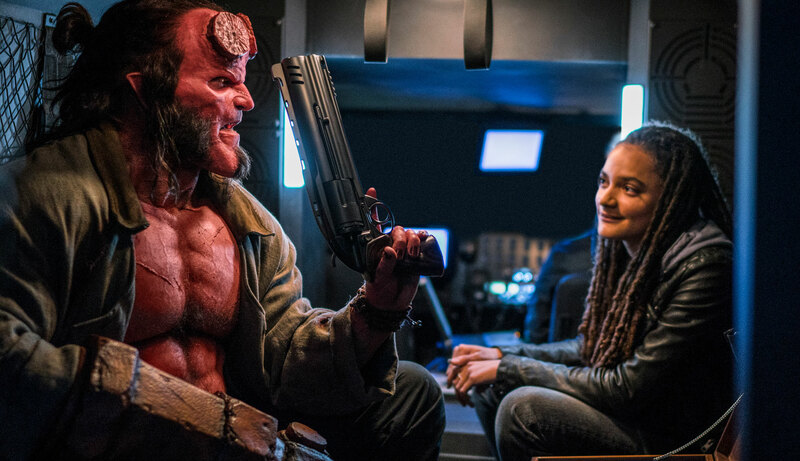 With the help of a military veteran (Daniel Dae Kim) and a young medium (Sasha Lane) who can channel the dead in rather gruesome ways, Hellboy looks to end the threat while confronting his destiny as a cog in the machine of the apocalypse. It’s always a bad sign when a movie seems like a mess from approximately the first minute, but that’s just what happens with “Hellboy.” In a strikingly similar way to del Toro’s films, the new one begins with a flashback to set up Nimue as the big bad, but the quality is astonishingly low. Del Toro’s films benefited from having consummate storyteller John Hurt to spin those tales. Here, McShane handles the voiceover, and while that shouldn’t be much of a step down from Hurt, he sounds like he’s falling asleep at the microphone, completely disinterested in selling the mysticism and Arthurian legend that props up the non-stop exposition train that hurdles through the film’s interminable two hours. And to be fair, there isn’t much to sell. The script from first-time feature writer Andrew Crosby sounds like it was written by a 12-year-old, filled with unnecessary vulgarity, faux edginess, bad puns and dreadful attempts at John McClane-style quips. It’s not an origin story – we begin with a fully-grown Hellboy already in the BPRD – but it takes plenty of time explaining his origin via flashbacks. It’s a jumbled mess. This “Hellboy” sports a hard R rating and will not let you forget it. 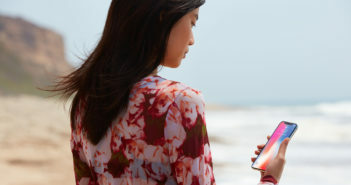 There isn’t a single character that feels whole or compelling, and the otherwise decent cast has barely any scraps to hold onto. Crosby attempts to write Hellboy as the sort of dry sarcastic wit he’s known for in the comics and previous movies, a blue collar guy who likes simple pleasures while also happening to be a demon, but none of it works. The result is a film dominated by a series of caricatures (the sassy British teen! The vulgar villain with a Cockney accent! The closed-off military man with a secret! The emotionally distant father with a hidden heart!) that are poorly written at best and completely embarrassing at worst. Jovovich is the only one that seems even vaguely invested in what’s going on, using her expressive eyes and vamping all over the screen. But she’s the outlier. Additionally, the action always devolves into a leaden CGI gore-fest, with legions of innocent bystanders and background characters dismembered and eviscerated, presumably because it’s supposed to look cool. 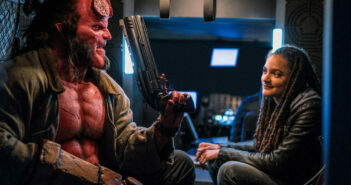 Every aspect of this thing feels like a cynical rush job designed to get something with Hellboy’s name on it out there so they could continue to hold onto the rights, dump it in theaters in the weeks between “Shazam!” and “Avengers: Endgame” and hope they spike a decent opening weekend before people catch on to how terrible it is. Sure, it wouldn’t have been prudent to expect a continuation of del Toro’s Hellboy series 11 years after “Hellboy II: The Golden Army.” Neither of those films moved the needle at the time, Perlman’s pushing 70 and del Toro is an Academy Award winner now. The time for that Hellboy has come and gone, and in this era of comic book dominance, it’s hard to begrudge Lionsgate’s desire to bring the character back to the fore. But not like this. Not after “The Golden Army” was quietly one of the best modern comic book movies – a rip-roaring, globetrotting adventure with incredible character design and an innate sense of wonder in its storytelling. This new “Hellboy” gives us none of that. The lack of effort and quality is evident from the first frame to the last, and no one involved in this thing comes out the other end looking better than they were coming in. A debacle like this seems destined to kill Hellboy dead as an ongoing cinematic franchise, and if this is the level of achievement to be expected, it’s better to let it die.